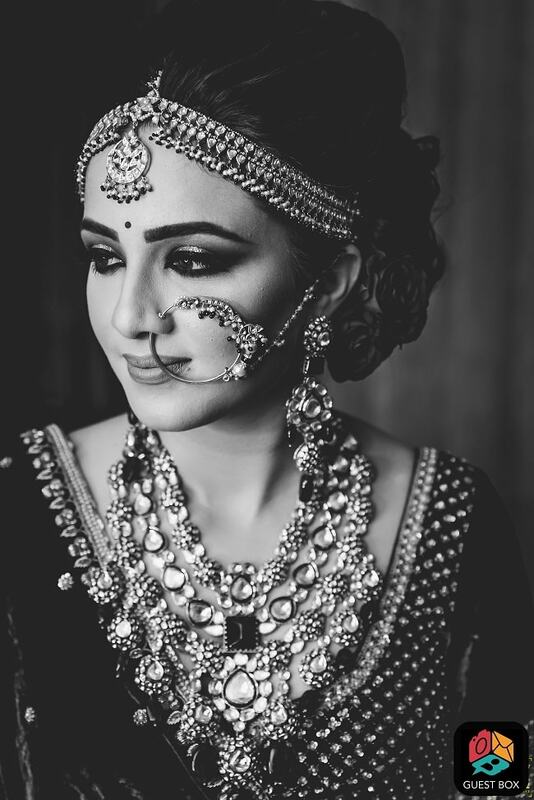 This one is for the most chilled out bride ever!!! 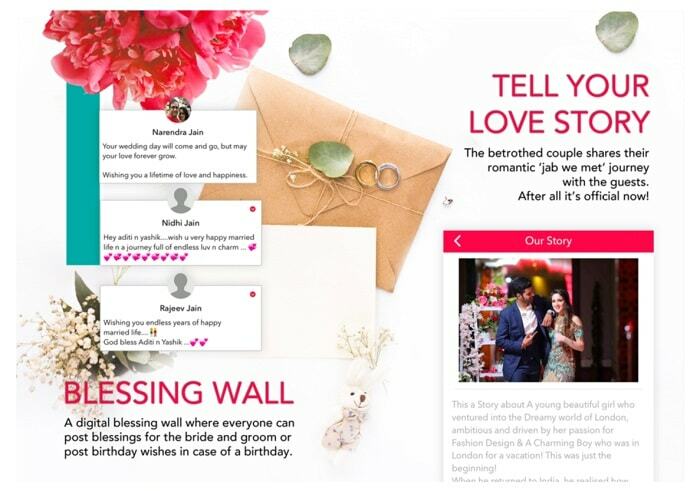 We have heard of brides designing their own lehengas, brides shooting their own pre-wedding pictures, but this is unparalleled – A bride launching her own guest management & wedding app for her wedding. Meet Aditi Jain the brain, heart and soul behind Guestbox. The taskmaster that she is, she wanted every aspect of her wedding to be perfect, down to the last detail. With a destination wedding combined with friends and relatives flying in from different parts of the world, Aditi wanted everyone at the wedding to have fun, not worry about small details like , ‘where to get their hair done from?’ or ‘ What time the breakfast would be?’ and most importantly wanted all of her friends to be a part of the dancing skit at the Mehendi. And this is where technology came to her rescue. 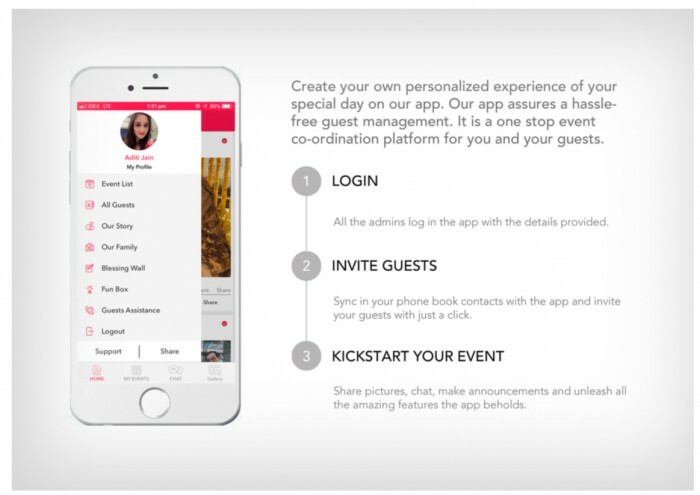 She thought of an app that could double as a social media and a guest management platform. Thanks to the chat feature on the app, all of her friends knew each other even before they met and when they did meet, they got along like a house on fire! As far as the dance skit was concerned everyone had their steps practiced courtesy the videos shared. All the guests had every relevant number on their ‘speed dial’. The best part, everybody got a hold of their pictures , even the ones taken by the photographers. Sounds awesome, doesn’t it? Needless to say, her wedding became ( and still is ) the talk of the town. Have you seen a prettier bride!! 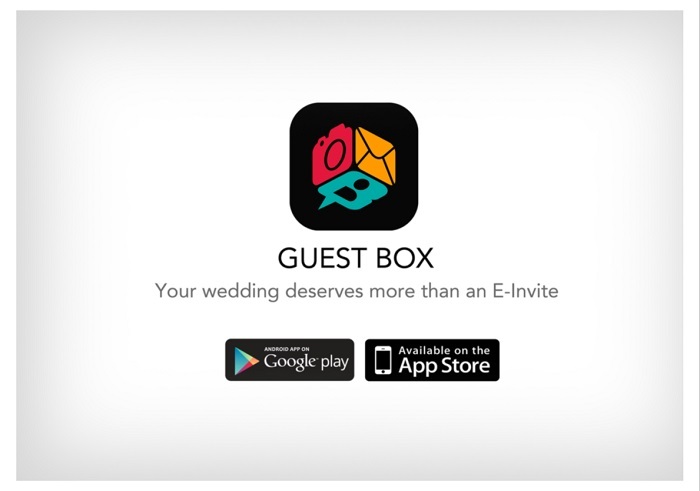 Guestbox is an awesome one stop event co-ordination platform for hosts and their guests. 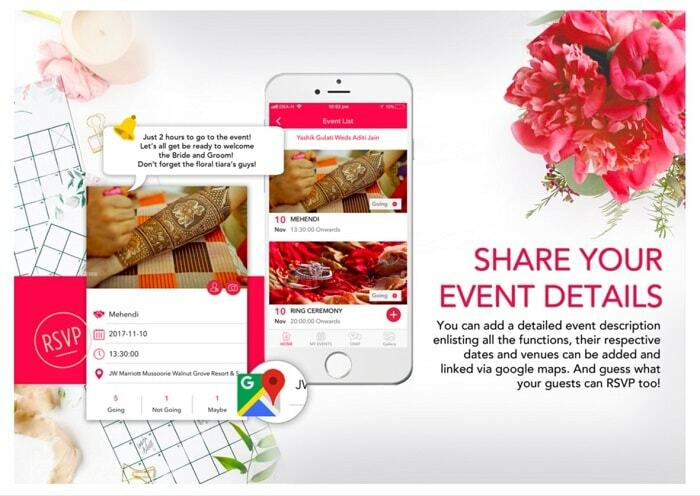 Be it weddings, conferences, or birthdays, the app assures a hassle free guest management. How Guestbox works for both the hosts and guests? To start with, you have to choose the kind of event that you are hosting. The guests are then invited by the hosts with a unique key to enter the event. Once invited, they find an elaborate itinerary of the event with real time updates. Everyone, including the photographers, can share pictures with each other and on other social media as well. 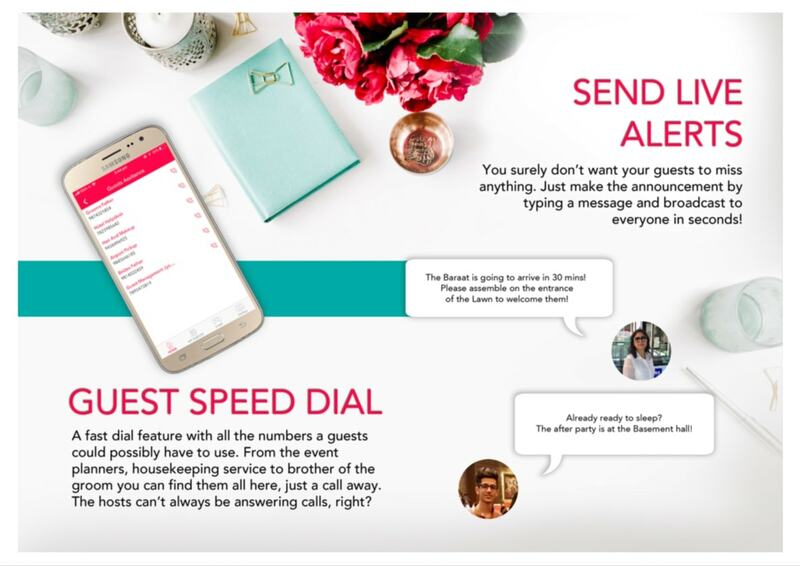 Made keeping in mind the need of the guests, the app provides them with a fast dial connecting them to everyone they might need to get in touch with, be it the house keeping service or the event organisers. Isn’t this considerate and cool? Why choose Guestbox for your Wedding? This is our favorite feature. You can upload pictures live from the event. Like, comment and share them on other social platforms as well. The official photographers can also upload. You can even create albums. No more waiting around for those gorgeous shots that you especially got clicked for Instagram. 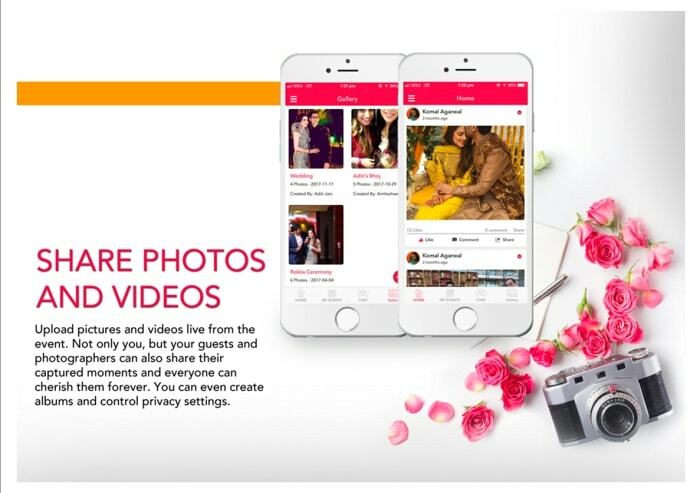 The bride and groom both share pictures, contact details and description of their family members to make the guests familiar with the family. No more guessing games about who the bride’s father is! Super functional feature. You have the option of creating chat groups and individually chatting with everyone on the guest list. Didn’t we say that Guestbox has it all! A detailed event description enlisting all the functions, their respective dates and venues for the guests. The guests in return can send an RSVP to the host, so that arrangements can be made accordingly. The app syncs all the contacts the admins/ hosts have and sends out an event invite SMS to all those they wish to invite. Get real time updates on the functions and behind the scene tid bits. No scope of missing out on anything. A fast dial feature with all the numbers a guests could possibly have to use. From the event planners, housekeeping service to brother of the groom you can find them all here, just a call away. The hosts can’t always be answering calls, right? This feature is for polls and questionnaires to create hype around the event. 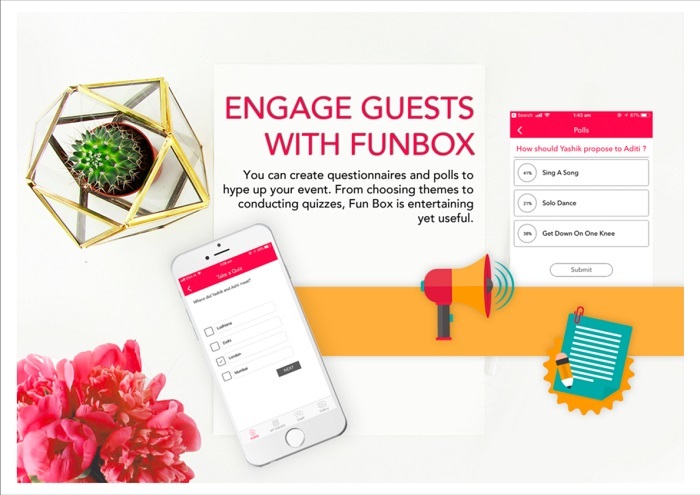 From choosing themes to conducting quizzes and polls the fun box is entertaining yet useful. #OurRecommendation: Ask for a demo, it’ll affirm your decision. 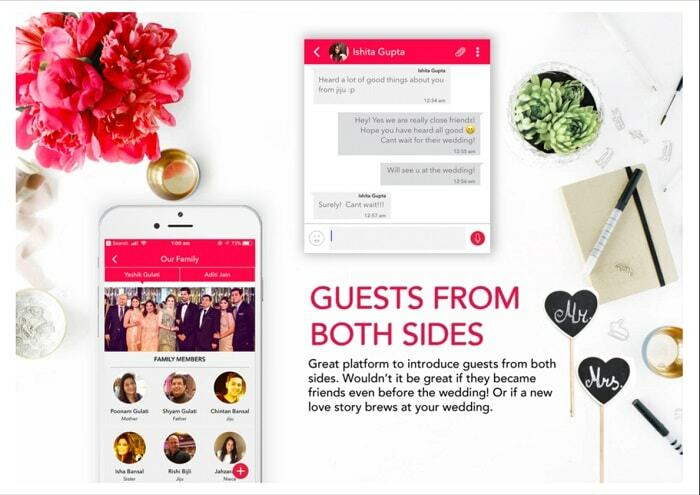 If you want to have oodles of fun at your wedding and be a chill bride, download the Guestbook app—it’s your one-stop solution for all your guest management needs!